The first big milestone for Blue! Seeing copies of Blue in its first store. 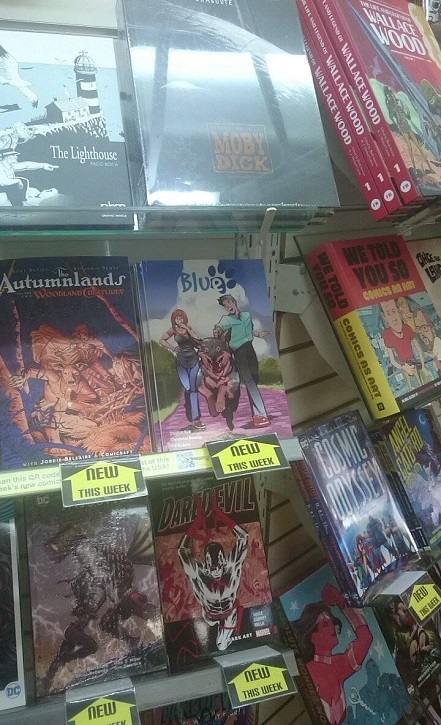 If you live near Australia’s capital be sure to drop by Impact Comics to check out Blue. It’s great to see there is a place for an Australian Cattle Dog among all the other graphic novels.